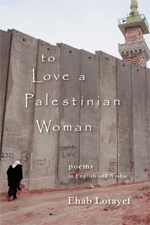 The looming wall separating freedom from captivity is the cover of Ehab Lotayef’s collection of poetry To Love a Palestinian Woman. Many talk of “the wall”, many deny it’s existence, and many live behind it. It’s not the focus of Lotayef’s book but a cover is what attracts a reader’s attention. Seeing a small Palestinian woman walk beside the now famous wall, it being five times her height, and a watchtower standing even taller, you understand why the author chose this as the first image you see. Not enough is written about book covers; you often hear the old saying advising people to look past them to really see the meat of a book’s pages. Lotayef not only uses a photo to attract his readers, unlike most poets he keeps his readers engaged with gorgeous photos taken by him, a multidisciplinary artist, throughout his collection. Lotayef’s poem Rachel, about deceased peace activist Rachel Corrie, is placed beside a photo of two tall slabs of “the wall” sticking out of dirt. As they stand tall you are reminded of the person Lotayef writes about; how Rachel stood in front of a bulldozer in 2003, on earth, like the concrete Lotayef chose to photograph, before being crushed by the Israeli army in front of a home in Gaza. How can we find the will to dare? You gave us hope—Thank you, Rachel. Uranium shifts the focus back home where many injustices happen, in this case, on First Nations Land. It’s a tribute to activist Bob Lovelace, his wrongful incarceration, hunger strike, and continuous fight to keep Indigenous land safe from destruction. How can you kill the suicide bomber? Many of the poems are powerful as are the photos Lotayef has included in the book. What lacks are descriptions of people rising to adversity, surviving, and finding the positive within the darkness that surrounds them. Such stories, images, and people do exist. The wall, guns, death, and despair are one part (a very large part) of the occupied Arab world. Lotayef is sincere, and writes well, but he could write about much more and take many more photos. 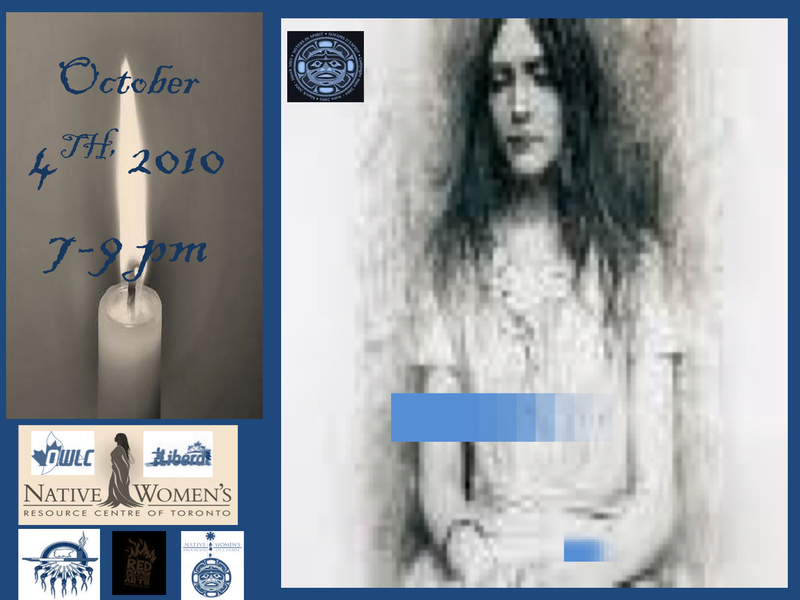 Tune in to Black Coffee Poet Wednesday October 6, 2010 for an inclusive interview with Ehab Lotayef, author of To Love A Palestinian Woman. 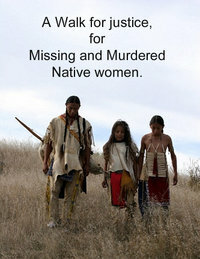 Join the march to STOP VIOLENCE AGAINST ABORIGINAL WOMEN Monday October 4, 2010 at Queen Park, Toronto, Ontario 4:30 PM. This entry was posted in Poetry and tagged Arab poetry, Bob Lovelace, Ehab Lotayef, First Nations Land, Iraq, Israeli Army, Pablo Neruda, Palestine, Palestinian Struggle, Rachel Corrie, To Love A Palestinian Woman, Today I Shall Write, Tonight I Can Write, Uranium. Bookmark the permalink.